For homeowners and professionals alike, making trips to and from the local tip to drop off excess garden waste can eat up valuable time. A shredder may be able to help you bring your waste down to more manageable levels and compost it for re-use in your garden. What can the shredder cut - only the higher specification garden shredders can tackle hardwood, whereas the more basic models will only be able to shred grass and leaves. Cutting diameters also vary on the machines, so make sure you opt for a diameter large enough. How much waste can the shredder hold - if you have a lot of material that you need to shred then you may want to consider a shredder with a large waste container, enabling you to shred more garden waste before emptying the container. 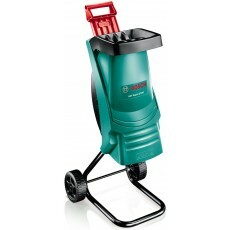 Howe Tools supplies a selection of garden shredders to meet a range of different requirements. Should you need any further guidance please call us for expert advice on 0333 004 3000.